For most Buckeye’s, this past weekend (October 21-22, 2017) was spent watching Penn State beat that team up north as The Ohio State Buckeyes had the weekend off. 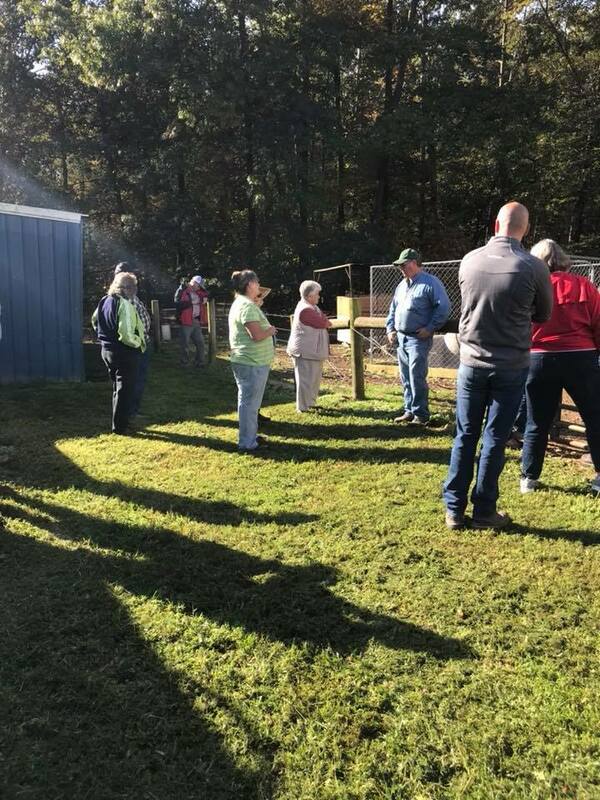 However,this was not the case for the sheep producers of the Hardin County Sheep Management tour. For these producers, their weekend was spent in Washington county touring sheep operations that most described as unique due to the benefits and challenges associated with raising sheep in the hills of southeastern Ohio. 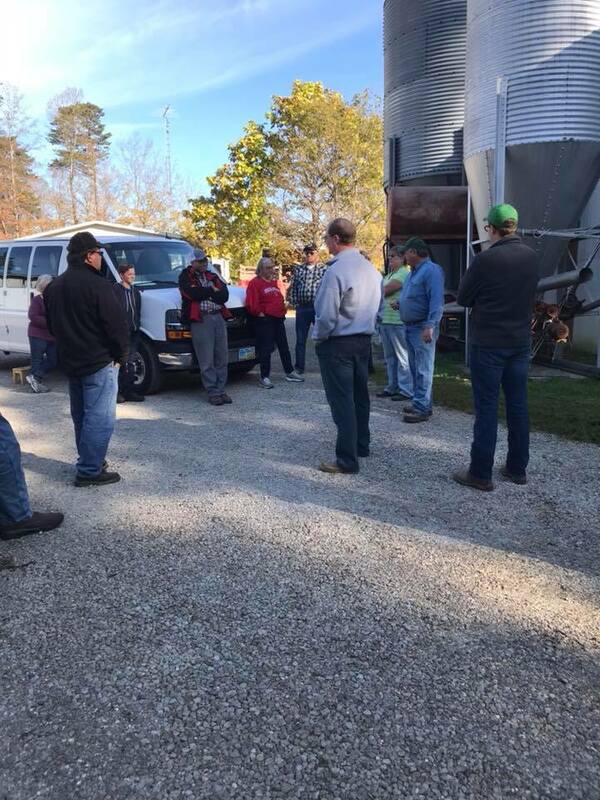 I was fortunate enough to be involved in the planning of the weekends festivities with the weekend tour starting off on my families farm for lunch in Waterford, Ohio on Saturday afternoon. At our farm, my family had the opportunity to tell the history of our farm as well as what works to what doesn’t seem to work so much for us. 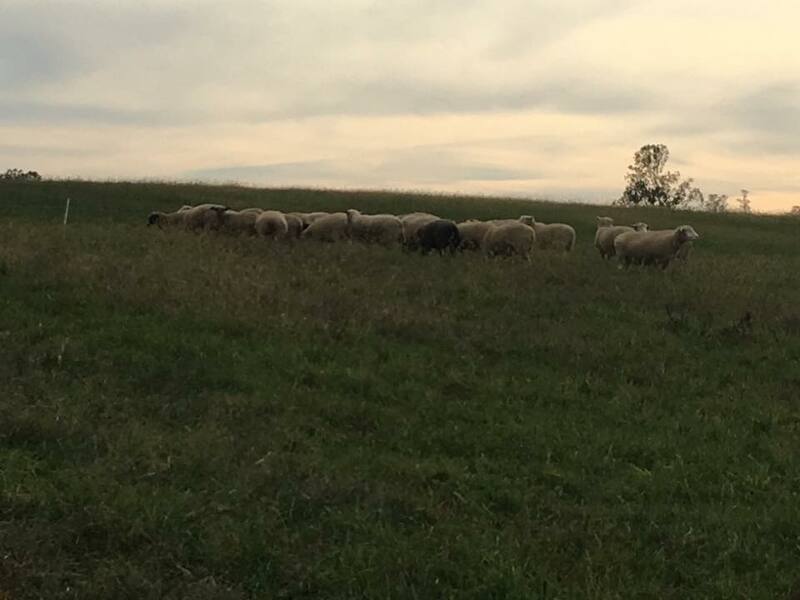 Our operation consists of 225 ewes and we raise purebred Lincoln, purebred Texel, and crossbred sheep. My family focuses on niche marketing of our purebred animals and their products. 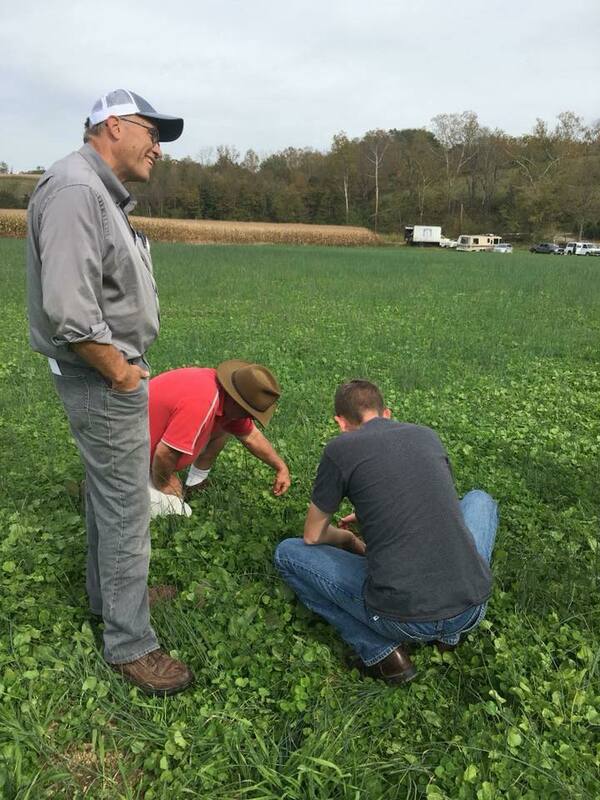 With my new role at Ohio State and the research that I conducted during my Master’s degree, I was able to share with our visitors what I have been implementing on farm to benefit the daily operation of the farm. 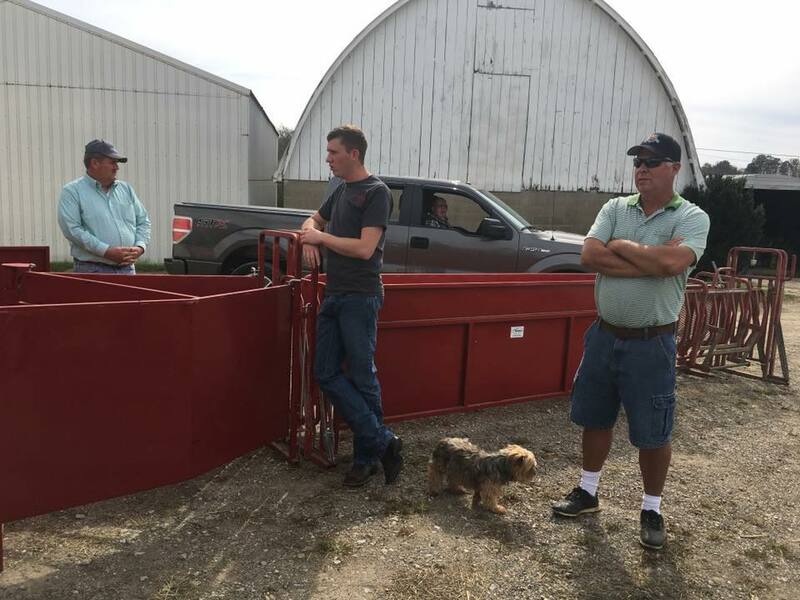 Some highlights of our operation included alternative ewe flushing programs, the implementation of a portable handling system, the beginning steps of becoming an NSIP producer with our Texel sheep, and a small forage tour evaluating a new hay field seeding. Our second stop of the day led us a mile over a hill to a long time sheep producer, Greg Allen. 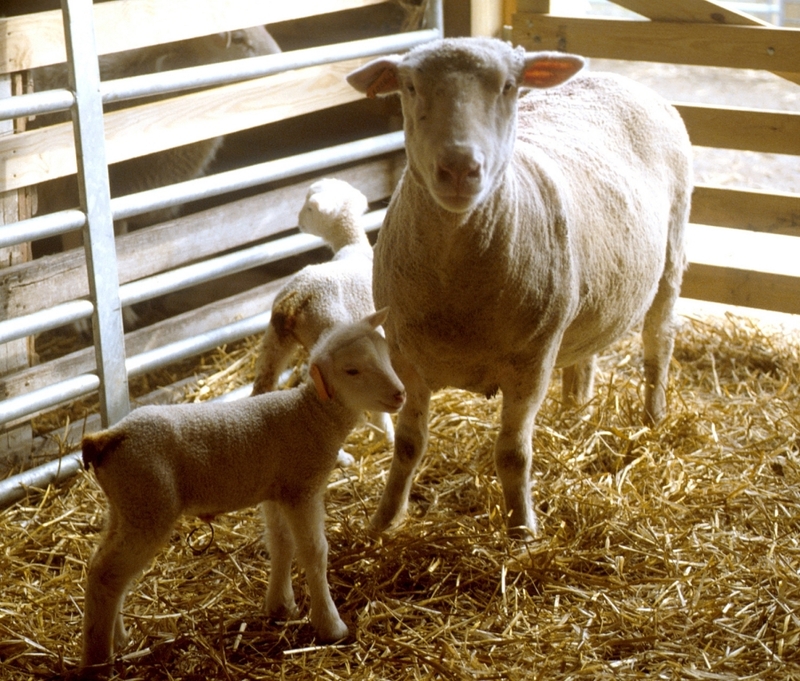 Greg’s operation consists of approximately 50 purebred Dorset and Dorset x Tunis crossbred fall lambing ewes. 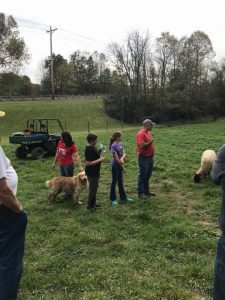 The Allen family has had several breeds of sheep, but from a management standpoint when Greg was working and his kids were in school, natural fall lambing using Dorset ewes seemed to be the right fit. Greg just recently built a new barn to accommodate his growing flock and he has implemented some interesting features. 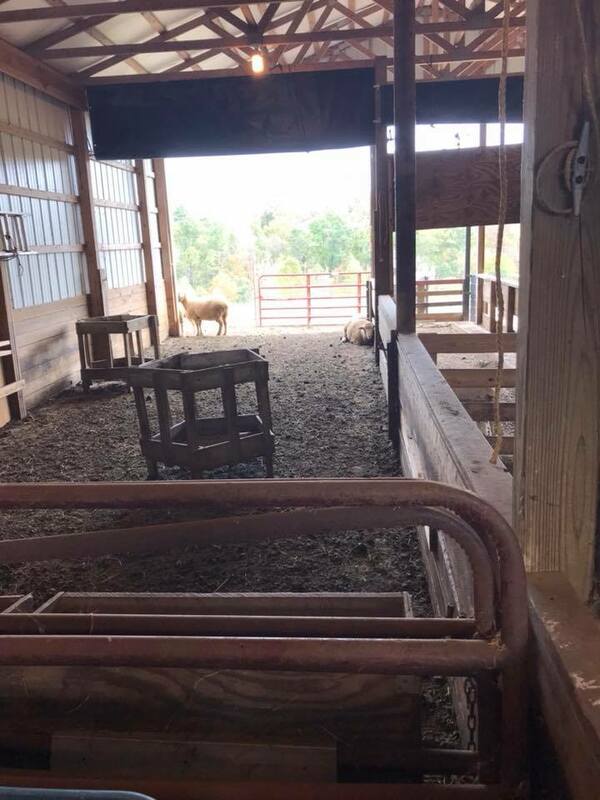 Greg uses black tarps in the back of the barn as wind breaks during the winter months when lambing for those ewes that did not lamb on pasture during the fall. He has also grooved the concrete floor as he uses very little bedding and the grooves help with floor traction. Greg also uses a rotational grazing system and with pasture rental from his neighbor, he rarely feeds supplemental hay if there is little snow fall over the winter months. This allows for his operation to be self sustaining as well as help maintenance costs low. 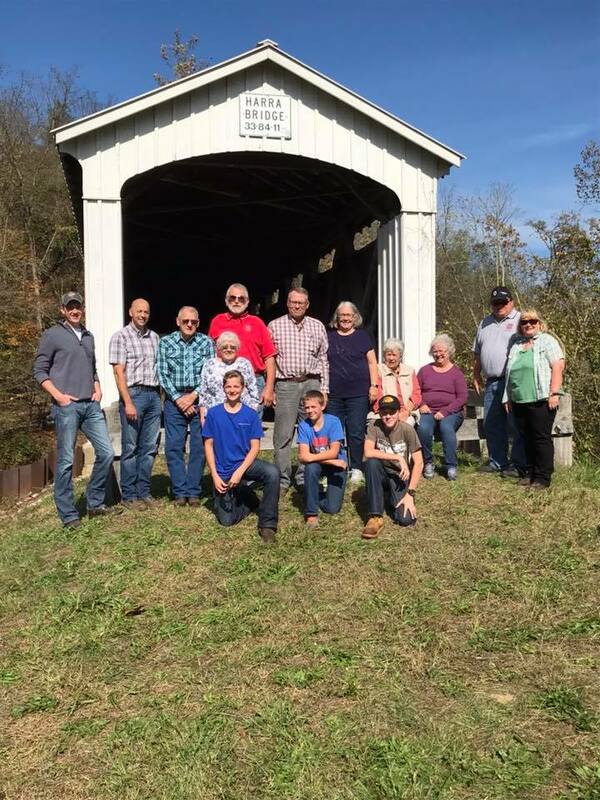 For our third and final stop of the Saturday tours, our group traveled to the town next door, Watertown, to visit with Waterford High School’s Biology teacher, Kenley Schwendeman, and his family. The Schwendeman family are life long beef producers, but with the influence of their daughter, sheep became a family affair as well. 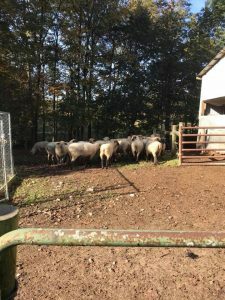 The Schwendeman family owns 24 black face market lamb ewes and 24 purebred Dorset ewes. 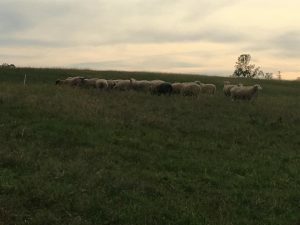 Being very familiar with backgrounding stocker steers on pasture, it was an easy transition to put the sheep into a rotational grazing scheme. As explained by all of our presenters, Kenley further expressed his concerns of the growing issues revolving around parasites and predators. The Schwendeman family hopes to develop safer pastures for their sheep to graze as well as a rotational grazing scheme that will allow for them to graze both their sheep and cattle on the same plots. 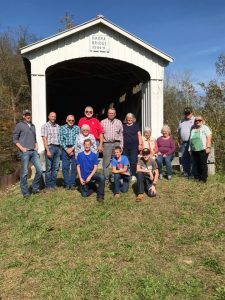 To wrap up our tours, on Sunday morning we traveled to the edge of Washington County to visit with some of my distant relatives, the Harra family. 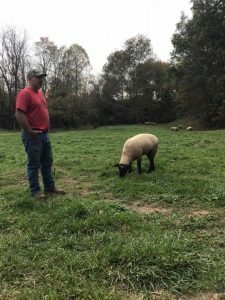 Donavan and Deanna Harra have been in the sheep business for many years and have experienced many breeds including purebred Suffolk, Montadale, Colombia, and Rambouillet sheep. However, these breeds did not remain of the farm for several reasons and the family currently raises purebred Shropshire and Oxford sheep. 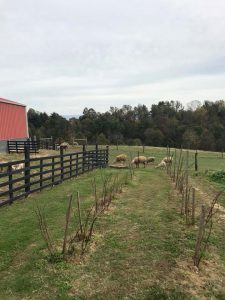 An interesting management strategy that the Harra family has implemented is that all of their sheep remain in confinement until 2 years of age. This strategy was used as a means to decrease the negative effects associated with parasitic infection. 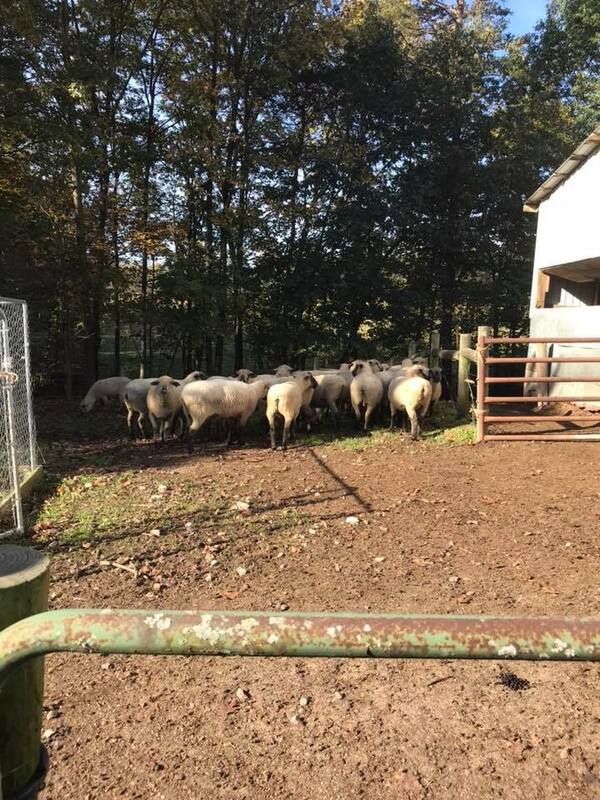 All brood ewes are placed on a paddock near the barn and those individuals that develop issues as a result of parasitic infection will be culled from the flock. As a result, the Harra’s flock consists of individuals that are more tolerant to parasites and decrease the stocking density of their paddock. 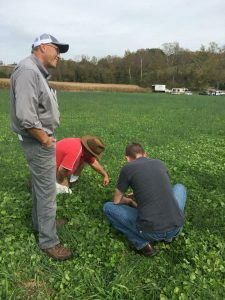 Overall, I believe that the management tour was a huge success as many management tools and ideas were shared among producers. 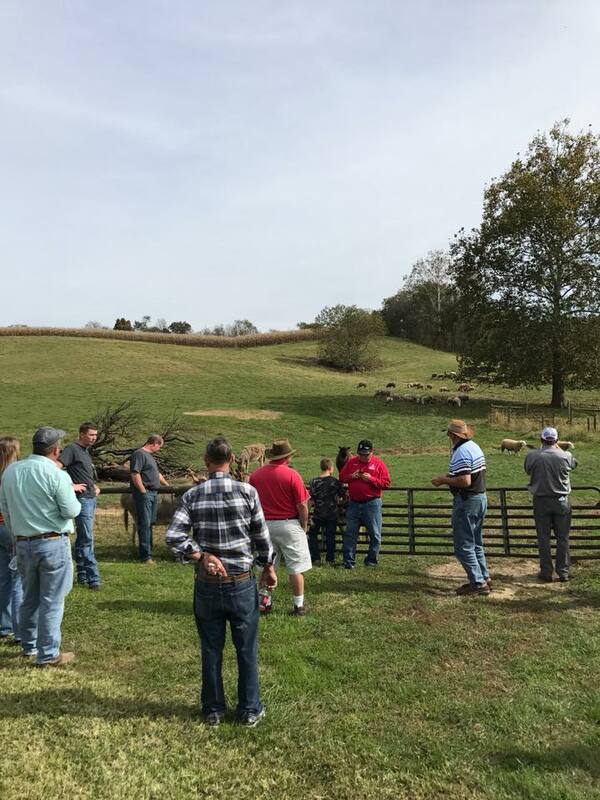 I would like to thank the Campbell, Allen, Schwendeman, and Harra families for allowing the Hardin County sheep management tour to visit their operations. 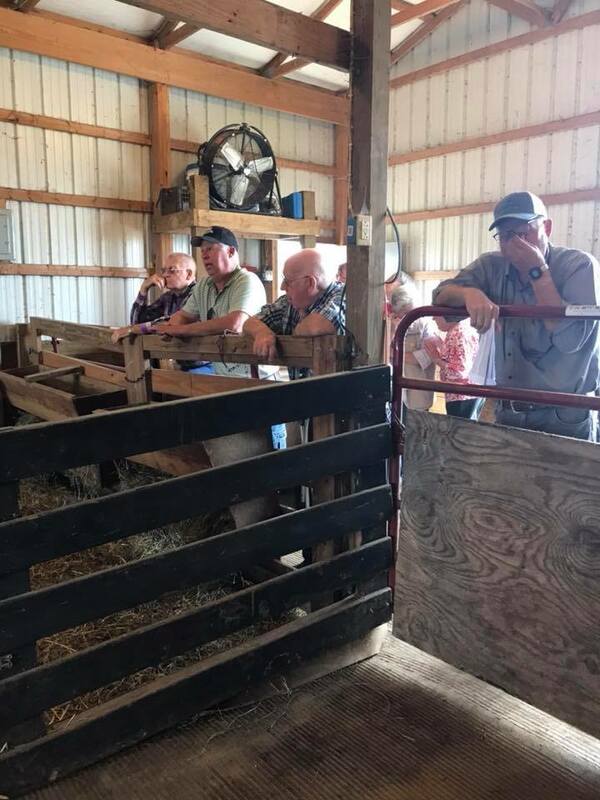 It was great to see so many sheep producers in my home county excited about what they do and the passion that they have as the continue to contribute to American sheep production. Posted by Braden Campbell at 8:00am January 4, 2019 Posted in Events and tagged Events, Management. Bookmark the permalink.